I’ve got two awesome pieces of book news to share! I am beyond thrilled that Amazon picked my book. I mean, look at the other books they picked. I’m dying to read Devil’s Daughter by Lisa Kleypas. I love her books and this series is so fun. 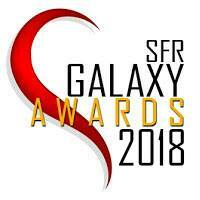 My second piece of excellent news is that The Queen’s Gambit won “Best Serial” in round four of the 2018 SFR Galaxy Awards! I am so delighted! What a fantastic way to start February! Congratulations! Huzzahs are in order. I hope you have lots more. Congratulations! TQG was a wonderful treat to read as a serial and cruelty deserves its award. 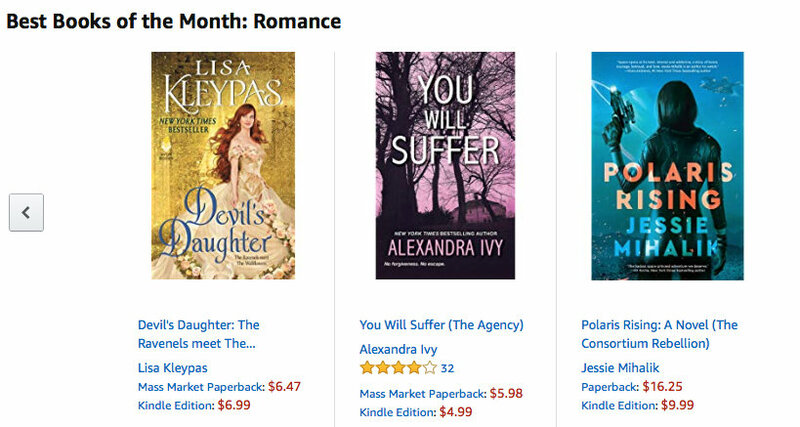 Can’t wait for Polaris Rising to be out so I can prove to myself it deserves to be a book of the month, too! How did truly turn into cruelty? Gotta love auto correct! Congratulations, you deserve both the award and being picked by amazon. I love reading your weekly serials and I’m having Polaris Rising shipped to NZ shortly for book devouring. Can’t wait for the next release! Congrats and I’m sure this is just the first of many. 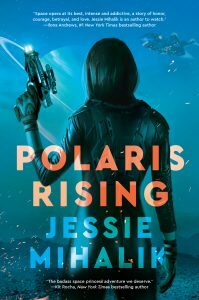 Very excited to read Polaris Rising. Kudos on your Amazon best showings in Romance and Science Fiction, as well as your very well-deserved win in round four of the SFR Galaxy Awards! More good are sure to be coming your way! Congratulation ! You deserve it ! I love your writing, this is only the beginning, I’m sure a lot of good stuff are coming your way ! You are a totally awesome writer, of course, they would pick you!! CONGRATS!!! Happy Book Birthday! My copy is in my kindle ready to go so kids to school then back for some reading as I fortuitously have today off work! !